I had high levels of liver index which will lead to Cirrhosis and Liver Cancer. I had tried many supplement before but no improvement was found. After get know of Golden Clam, I started to consume 3 tablets at morning and night. After 3 months, My liver index unexpectedly decreased significantly : AST – From 127 to 52; ALT - From 259 to 87; GGT – From 82 to 39; And my insomnia also improved after taking Golden Clam! I had been suffering from SLE for more than 10 years and always faced the breathing difficulties, heart problem and weakness on my legs. I also cannot sleep at the night. Except medicine given by Doctor, I also taken Propolis and Colostrum, but no improvement was found. I started consumed 3 tablets of Golden Clam at morning, afternoon and night and 3-4 times Springlife per day. Sometimes, I will increased the dosage to 12 tablets per day in order to reduced my pain. After few months, my health condition had been improved and I reduces the dosage of medicine. Six months later, I completely no need to eat the medicine any more as refer to my health report, the SLE index had back to normal. 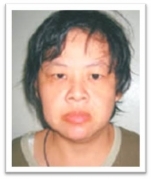 I had been suffering from uric acid, high blood sugar , high cholesterol and high blood pressure for 25 years. Before this, once I ate mutton, I am unable to walk on the next day due to the terrible joints pain and swelling of the legs. I started to take 3 tablets of Golden Clam at each morning and night and also press 10 times of Springlife into my drinking water. Now Uric Acid had been 100% recovered and Cholesterol index also decreased from 7+ to 4+ , back to normal level. My skin complexion also improved a lot! 4 years ago, I was diagnosed hormone problem and started to consume hormone drugs. I asked doctor, how long should I consume the hormone drugs? Doctor said, 5-6 years, even longer. I knew this is not the way to go. In a coincidence, I attended Golden Clam dinner and get to know this product. I brought back all the relevant information to study. The next month, I attended again the Golden Clam dinner and all my doubts were lifted. From that time, I start to consume Golden Clam in the morning 3 tablets and night 3 tablets until now. After doctor’s permission and finally, I could stop taking the hormone drugs. My joint pain for over a decade. Squatted is the most fear action because once squatted down, it was difficult to stand up. I did not dare to do surgery as no more young. After that, I start to consume Spring Life and Cal Plus. The water that I drink every time will content Spring Life. While Cal Plus I take 2 sachets after lunch. Unconsciously one day, while I was playing with my grandson, I can squat and stand up easily. I am so happy. I am here to urge everyone, be patient when consume supplements as it takes time. 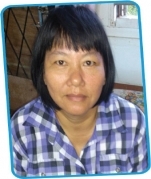 Nevan Toh (represented by mother, Stephy Chua) My son has skin sensitive problem. After applied the cream given by doctor, still itchy. He will get itchier while scratching. After that, I applied Spring Life on his itchy place. Only 1 week, swelling and itching disappear. It is too happy. My uric acid was very high because I am a heavy drinker. Every year, I have to go to hospital to do injection to stabilise my uric acid level. Since year 2012, I get to know that Golden Clam can protect my liver while I am drinking, I start to consume it every morning and night with 3 tablets each. Surprisingly, my uric acid is being controlled and I no need to go to hospital to do injection. Another problem that has been solved is my gastric problem since I was young. Sometimes when gastric acid was attacked at night, I could not sleep and suffered from insomnia. To my surprise when I was recovering gastritis with Golden Clam. I am now living happily with a healthy lifestyle. I was a cancer patient. Year 2004, I got stomach cancer and recovered. Early of year 2015, I found that I was always caught on fever and cool, so I went for checking. Unfortunately, my CEA reading was 31mg/L where normal range is 0-2.5mg/L. After went for CT scan and so on, I was diagnosed colon cancer. Operation done and at the same time, I consume 10 tablets of Golden Clam on day and night each together with 1 bottles of Spring Life for 4 days. Surprisingly, my recovery rate is very fast and after 1 month of operation, I can exercise as usual. When I went for follow up, my CEA reading was 17mg/L which was high too. Unfortunately, my liver affected & diagnosed as liver cancer. Operation done and my recovery rate also very fast. Now I am happy that I am still alive, and I am now 86 year old. I Started to take 3 tablets of Golden Clam at morning and night. I also drop Springlife into my drinking water every day after my son introduced these good products to me as it can help to improve my health. One day , I was hit by a car when crossing the road and cause bruising on my head. After medical checking, doctor said it will be recovered after few days and will not affected my body. But I felt terrible headache at the night time. My grandson advised me to take a lot of springlife as it can helps the blood circulation. The next morning, when I woke up, no more headache and the bruising is gone. I was so surprised ! Until now, I still consume both of the products and my age spots and wrinkles are significantly reduced a lot. After trying Greeno product, his asthma had been recovered and he also seldom fall sick after that. In 2011, I was diagnosed suffering from end-stage nose cancer after the sudden numbness of the half side of my face, sore gums as well as the head. Cancer spread to the lungs and the right eye. I have just completed 5 weeks of chemotherapy and radiotherapy despite the treatments required for 7 weeks. This is because my body is too weak to continue, the doctor declared that I’m running out of time and advised me to go home. I can only lie in bed and can't turn around. My back began to fester. I started to consume 3 tablets of Golden Clam® at each morning, afternoon and night. I also drink a lot of Springlife® daily after known about these products through my family member. In addition, I also spray a large amount of Springlife® into the wound on my back. A month later, the wound on my back was completely healed and I manage to walk around with helping hands. Two months later, I can even move around freely. Now, the cancer cells have also been completely eliminated. Doctor declares that this is a miracle! I have been suffering from diabetes for many years , my blood sugar have surged to 17.1mmol/L before. I felt fatigued when drive long-distance and need stop frequently to take a rest! I started to consume 3 tablets of Golden Clam before bedtime on November 2014 after introduced by my sister. My blood sugar reading at that time is 12.2mmol/L. After few months, I felt energetic all day long when drive long-distance. Besides this, my appetite also improved a lot. My blood sugar index also decreased to 7.1mmol/L on the medical check-up on Feb 2015. Within this period, I still drink coffee everyday and eat some sweet food. I am very happy with this results. I used to drug allergy since I was young. When I took painkiller, it will caused eye swelling and normally took few days to fully recovered. My drug allergy problem had been solved after I consumed Golden Clam and Springlife on Feb 2014. In addition, I am also sensitive to alcohol and my body will developed rashes after I drank. But this problem doesn’t occurred anymore if I took 3 tablets Golden Clam before drink any wine. Besides, my gastric problem also solved after I took Golden Clam and springlife. I had Freckle on my face since I was young. The freckle had became more darker after too much exposure to the sun . I had tried many skin care products before but no improvement was seen. I squeeze 4 times of Springlife into drinking water and drink every morning and before bedtime. I also squeeze 6-8 times into 1.5 liter water. 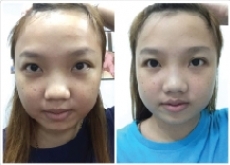 The condition of freckle ,spots and skin complexion had been improved in just one month. Besides drinking, I also spray Springlife ( 10% ) mix with water ( 90% ) onto my face for moisturizing, lifting and sunblock purpose. It is also good for anti-bacterial purpose. I am facing some cervical cancer radiotherapy side effects such as inflammation of the urethra and blood clots in urine. My health conditions also affected after too much medication. My kidney shrinkage problem was discovered on May 2014 and dialysis treatment was advised by the doctor. I was scared and refused to start any dialysis treatment. I started to consume 2 tablets of Golden Clam before bedtime and drink a lot of Springlife. I had diarrhea in the first few days and it was last for few days time. After 3 months, I was very surprised that my kidneys functions had been improved 80% and no need any dialysis treatment. I was suffered from high blood sugar problem (6.4 mmol / L). I start to consume 3 tablets of Golden Clam before bedtime and squeeze 3-4 times Springlife into my drinking water everyday. After 1 week, I had stomachache and I just ignore it because I though was food poisoning. After few weeks, my stomachache getting serious and fever. After body check-up, Doctor found out there were some small holes and inflammation near my intestinal. During hospitalization, I took a lot of Golden Clam and Springlife. After 3 days, I had recovered from My Inflammatory bowel disease and the glycemic index also dropped to 4.9mmol/L. After my friend introduced Golden Clam to me, i started to consume 2-3 tablets at every morning. After a month, my cough and back pain problem had been improved a lot, and my skin complexion as well. My vision also improved. My Blood Sugar index is around 9-11mmol/L, I started to control my diet but still no improvement was found. 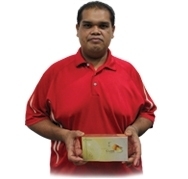 In 20/1/2013, after attended the Health Talk at Hotel Aifa Labuan, I decided to consume Golden Clam. 5 – 10 tablets per day. After few days, I do the blood sugar test by myself, i found out the index was reduced to normal level. I am suffering the diabetes for almost 16 years. My condition was getting serious since six years ago. There is a hole as big as a 50 cents coin at my sole of foot, my eyesight was blurred as well. I admitted to hospital frequently due to my blood sugar was high, even more than 22mmol/L. Recently, my leg was diagnosed by a doctor in order to cut off due to the serious condition. On October 2009, my child recommended GREENO® Golden Clam®for me. I took three tablets of GREENO® Golden Clam® every day. Now, my foot wound is slowly recovered, the hole at my sole of foot became smaller than before. The pus at my foot became dry too. Doctor also verified that my foot was recovering almost 80% and no need to cut off again. After taken GREENO® Golden Clam®, I become healthier, full of energy; my eyesight was improved too and good in appetite right now. I am facing menstrual problem for a long time ago. Every period time, I was suffering the pain until lying on my bed only. On the year 2006, there is another criterion for my health. When I was at the place where is crowded of peoples like company or mall, I will feel difficulty in breathing. Someday, I was stunt in factory and sent to hospital. After diagnosis of doctor, it was claimed that I was Panic Attack. As a result, I’ve changed to traditional Chinese medication, and the physician verified that I was suffering the Globus problem, it was caused by flatulence. On year 2007, my friend introduced GREENO® Golden Clam® to me. At the first 3 months of consumption, it appeared menstrual irregularity symptoms, the period blood change from dark red color to light and my menstrual pain is gradually reduced. By the way, I’ve learned a lot of our liver knowledge from the GREENO® Health Talk. I also realized that the Globus problem was caused by my 10 years of night working shift. Hence, from the day I start to protect my liver with GREENO® Golden Clam®, my Globus problem was fully recovered! Yet, I’m still taking GREENO® Golden Clam® as my health care step. Now, no more menstrual pain and Globus problem for me and my life become more colorful and healthy! I have the difficulty in sleeping for every night. Meanwhile, I always felt my stomach was flatulent and very uncomfortable after meal. Besides that, my gastric and stomachache almost woke me up every night. However, I have difficulty to fall asleep again after awake and I will feel like insufficient on sleep and tired in the next morning. In addition to this, I was facing ulser problem in mouth for almost every month. My Low Density Lipoprotein (LDL) cholesterol was high, and felt stabbing pain at my foot sole. After taken GREENO® Golden Clam® for almost two months, my problems in insomnia, stomach uncomfortable, tired and stabbing pain at my sole of foot was relieved. I can fell asleep easily, and full of energy in the next morning. At the same time, my LDL cholesterol was reduced too! Thanks to the GREENO® Golden Clam®! I am facing the red blood cell problems (Anaemia), therefore I need to do a blood test for every 3 months. Besides that, I always have the stabbing pain problems, paralysis situation and insomnia problems. At the same time, I am facing irregular menstruation problems too! In addition, itching and rash problems also troubling my daily activity! Alhamdulillah, all of my illness especially the anaemia which torturing me since I was young is relieved after i took GREENO® Golden Clam®. By the way, my menstruation became regular after I used GREENO® Herbal Plus Sanitary Pad! I can enjoy my life and do all my daily activities with confident now. I always face the rheumatic problems, especially when I’m praying. Sometimes, i felt palpitations without any reasons, and it caused me difficultly in breathing. Therefore, i went to do a heart check up, but doctor diagnosed that i didn’t have any heart disease. I was introduced GREENO® Golden Clam® by my affinity. I took 3 tablets of that on every morning and night for the first 10 days. In the first week, I felt painful in my joint and difficulty in breathing. Anyway, I am still persisting to take GREENO® Golden Clam®. 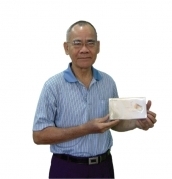 Before I finished a box of GREENO® Golden Clam®, my rheumatic and breathing’s problems was recovered. Now, I could complete my praying without any suffer again! Thanks to GREENO® Golden Clam®! On year 2009, I found out that I’ve suffered womb cancer and there is frequent pain in my stomach and womb. At the same time, my whole face also full of pimples with pus. I started to find any remedy for my illness. At that time, Puan Dayang who came from Kota Kinabalu introduced the GREENO® Golden Clam® and GREENO® Herbal Plus Sanitary Pad to me. I started to intake GREENO® Golden Clam® and using GREENO® Herbal Plus Sanitary Pad on the early month of October. In the first month, I had seen the positive effects on my body and no more painful in my stomach and womb again. Now, I had consumed GREENO® Golden Clam® and GREENO® Herbal Plus Sanitary Pad for around two months and my acnes problem on my face also recovered fully. After witnessed the efficiency of GREENO® Golden Clam® and GREENO® Herbal Plus Sanitary Pad, I made the decision to join the GREENO® business seriously so that to help those are needed. Besides this, I also achieve the Diamond Manager status on last November. Thanks to GREENO®! I was a drug addict in year 1990 until year 2004. I found out that I had suffered from Hepatitis C and cirrhosis when I went for a medical check-up in year 2008. At that time, doctor told me that there is no medicine can cure the disease and therefore the doctor didn’t give me any medicine. Before that, my face and skin looked pale; lips were in darker colour and have a serious dark circle on my eyes. I looked weak and thin, have no appetite, no energy, felt sleepy and tired every day. On 9th September 2009, my friend introduced GREENO® Golden Clam® to me. At first 5 days of consumption, I still felt sleepy, but I felt energetic and fresh after wake up. After 5 days, my spirit getting better and better. One month later, my face and lips looked ruddy, my appetite became better and my weight was increasing. Now, I can go for work with full of energy everyday. Since July 2013 I met Bio Greeno, I start to use Spring Life, Golden Clam, HEQ and Cal Plus until now. Since young, I got poor immune system and hypoxia. The worst case would make me faint. I love travel but I got a bad sleeping quality, even insomnia and also poor immune system, so I need to bring a lot of drugs among my journey. Since I consume all range of products, my immune system has been increased and I got better sleeping quality. Every day, I take 3 tablets of Golden Clam in the morning and night, after lunch will take 2 sachets of Cal Plus and Spring Life will with me anytime. I bring HEQ along my travel journey, never miss out. Now I am feeling good with my health. I had suffered from insomnia for more than 10 years. This had caused me easily to get angry and always felt tired. Besides, I had sensitive nose problem too. I could felt the effectiveness only with 4 tablets of Golden Clam. I consumed 2 tablets after meal and I could fall sleep after 4 days. While after another 2 weeks, my sensitive nose problem had been solved as well as my chest pain. During taking Golden Clam, I had some healing reactions such as terrible back pain, gastric and swelling eye which make my confidence gone. But after got the advise from the upline, I decided to continue it. I had back to normal life now. I faced a heart’s valves problem. Although I had go through an operation to expand my heart’s valves and don’t need to take any medicine again, but sometime I still will face the irregular heartbeat problem, especially when i’m tiring of works and when the time that I felt stress. I will feel pain at my back side when I wake up in every morning. Besides this, I suffered the migrain problem from times to times too and normally it will continue to the second day. As a result, I forced to take Panadol or others pills to relieve my pain. After I took GREENO® Golden Clam®, my irregular heartbeat problem didn’t appear again although I am tired of works. Meanwhile, my backbone ache problem was solved as well! Now, when my migrain problem is relapsed, I used to smell the GREENO® “peppermint fresh” and my migrain problem will just relieve within 10 to 15 minutes. Before I consume GREENO® Golden Clam®, whatever of disease names that we can mention also can found from my body! I am suffering the diabetes, high blood pressure and asthma since long time ago. My blood sugar even reached to >25 mmol/ L and thus I need to inject insulin as much as 38 for every morning and night. Due to diabetes, my eyesight also getting blur and blur. For my blood pressure, it also reached until >220 mm Hg/ 100 mm Hg and it is considered as danger level. Meanwhile, my asthma problem also forces me to enter the ICU at least twice for every week. I totally cannot touch of water, if not, my asthma problem will attack me again. At the same time, my movement was inconvenient too, walk a few of steps already made me suffering the asthma again. In September of 2004, I had suffered stroke, it is always numb on my hands and legs while my legs are suffering the eczema too. Besides this, doctor also verified that one of my kidneys needs to go through kidney dialysis! In October of 2009, I started to consume GREENO® Golden Clam® and N5 from N series, the dosage is 3 tablets and 1 tablet each for every morning and night. Now, my conditions are improved! My blood sugar is reducing from >25 mmol/ L to 9 mmol/ L while the dosage of insulin injection also decreased to 14 only, and do not need to inject daily. My blood pressure decreases until 160 mm Hg/ 67 mm Hg too. At the same time, my most serious asthma problem also getting better and does not attack me again, no more asthma spray is required. Besides this, the leg eczema problem and my movement also are improved. Doctor also verified that my previous kidney which needed to go through the kidney dialysis also is recovered and still can function for at least two more years. Due to long period of visiting the hospital, therefore I have quite an amount of ward mates. And those will keep asking me what I had eaten during I revisit back the hospital as my look is getting better and healthy since I started to consume GREENO® Golden Clam® and N5. Because of GREENO® Golden Clam® and N5, my health only can re-occur hope again! Thanks to GREENO® ! Since Ming Kai was two years old, he was suffering the eyes allergy. His eyes will become red and swollen when he exposures to the polluted environment. Ming Kai was thin and he always fall sick too like suffers the fever, flu, cough, and sometime even suffers the asthma problem. Besides that, Ming Kai’s mother also has been complained by his kindergarten teacher as he always vomits in the classroom. 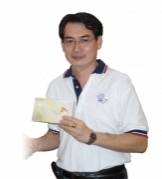 In year 2007, Ming Kai’s aunty recommended GREENO® Golden Clam® to him. After taken GREENO® Golden Clam®, Ming Kai was fever, cough and spit out a lot of phlegm. It is a good sign showed that all the virus and bacteria were killed by the body’s immune system. After one week, all the symptoms were stopped. His appetite became good, body became stronger, immune system was increased and not easily falls sick again. Finally, his eyes allergy was cured. Before I took GREENO® Golden Clam®, I always have the tinnitus & prostate problem (difficulty in urination). I am facing such problems for about one year time. Besides that, every time when I took the food by using chopstick, my left hand always keeps shaking seriously. My child said I was suffered Parkinson disease and they asked me to see a doctor. However, I had come across of plenty health magazines and including the magazine, and it is found out that Parkinson disease has no medicine to cure, and maybe it needs an expensive medical fee. The information from such magazines are advised us to stay happily and do more exercise instead of medication. 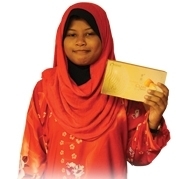 On 26th August 2009, I saw some successful GREENO®Golden Clam® testimonials have posted in and I found out that GREENO®Golden Clam® even can cure the Parkinson disease. Therefore, I went to GREENO® center which is located at Puchong to search for some information regarding the GREENO® Golden Clam®. After the explanation from the expert, I found out the efficacy of GREENO® Golden Clam® to our body and finally I decided to buy two boxes of GREENO® Golden Clam® for trying. I took two tablets of GREENO®Golden Clam® in the morning and three tablets of GREENO® Golden Clam® before sleep in the first week. However, for the first two and three days, I felt my whole body was hot, headache and felt like splitting. But, I insisted to take the GREENO™ Golden Clam®! After two to three days later, I have no headache, and my body was not hot anymore! Starting from 2nd week, I have reduced the dosage on GREENO® Golden Clam®. I took one tablet of GREENO® Golden Clam® in the morning and two tablets of GREENO® Golden Clam® before sleep. In the third week, I even just took two tablets of GREENO® Golden Clam® only at night! For my tinnitus problem and my shaking hand, the symptoms were reducing after the first week of taking GREENO® Golden Clam®! In the third week, my shaking hand was cured completely! Now, I feel easy to urinate too! After witnessed the efficacy of GREENO® Golden Clam®, I started to recommend the products to my relatives and friends and I will keep going to take the GREENO® Golden Clam®! I have suffered from serious diabetes that caused my right foot swollen. Because of that, I have difficulty in walking and unable to stand for long. In addition to this, my foot felt numbness regularly. I consume 15ml of Springlife™ daily for 10 consecutive days. Due to the reaction of recovery, I feel dizzy, body itching, fatigue and insomnia for the first 3 days. But then, the numbness of my foot improved. After that, I started to consume 3 tablets of Golden Clam® daily in the morning and night. In just five days, the swelling part of my foot began to outflow dirty and smelly blood. Now, the inflamed part of my foot began to shrink and heal slowly. 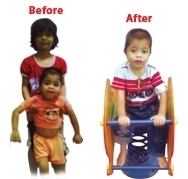 Since young, Afif have difficulty in walking and standing. This is due to the physical tibia and his feet were smaller than normal. He also often got fevers and looks pale just like anemia. After taking Golden Clam® and Springlife™ for 2 weeks, the skin shows redness, his feet and tibia seem to grow and plump. He started to get up and show the spirit of diligent to walk. Finally, he was able to walk on his own, even smiles appear on his face again. I was diagnosed with Thalassemia since childhood. Because of this, I often feel less energetic and sleepy. In addition, the need of blood transfusions (2 packets) every month makes me miserable! After a month consumed Golden Clam & Springlife, I felt more energetic. After second month, I only need to do blood transfusions once a month to replenish my red blood cell supply. After the eight months, the number of blood transfusions has also been reduced to every two months. In April 2012, I suddenly fainted and was sent to the clinic for a checkup. The doctor said my blood pressure is too high (over 180) and gave me some medicine. 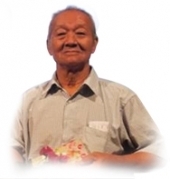 After returning home, I seem to suffer from dementia and was unable to walk. My daughter let me consume Golden Clam® and Springlife™, I recovery of consciousness on the next day. After that, another daughter of mine took me to the hospital for further examination. According to the doctor, I had a stroke on my left side and was admitted to the hospital for 2 days. After being discharged from the hospital, I had to take medication to lower my blood pressure and was advised to go back to the hospital for Physiotherapy on a regular basis. My family took me for acupuncture treatment. In addition, I consume 4 tablets of Golden Clam®, 2 tablets of Cal Plus and Springlife™ daily. After a week, my legs can be lifted and I was able to walk with crutches. After 3 months, I can move freely and travel to Genting Highlands with my family. Thank you Greeno® for restoring my health. I had suffered from Diabetes for more than 10 years and must inject insulin to control my blood sugar levels. My fingers often felt numbness and stiffness causes I could not fall asleep. Besides that, I’m facing problem of getting up if sitting on the floor, my right thigh and tibia often felt painful and less of energy. Furthermore, my heart is beating fast make me feel uneasy. After finished 2 bottles of Springlife® in 4 days, there is some improvement in my fingers numbness. One month after I consumed Golden Clam® and Springlife®, I managed to control my blood sugar level without injection of insulin. In addition, my heart beats has back to normal. Now I can sleep better at night. Thanks GREENO®! In 2008, I was diagnosed with thyroid when the inexplicable trembling hands, swollen and redness feet appeared on me. Since then, I was required to consume 10 tablets of medication every day. After taking the medication, I groggy all day in bed, not dining and even sent to the hospital for allergy testing due to I’m allergic to the medication. After being discharged from the hospital, my medication increased to 11 tablets a day. Although thyroid index has decreased, my face was covered with acne, looks gaunt, feel dizziness every day, unable to work and whatever I eat are bitter! I almost get neurosis because of this and often crying in the middle of the night. In order to alleviate the pain, I began to seek traditional treatment and taking other health care products, but the results are disappointing. Due to unbearable pain of the private part of my body and bloated looks, Chinese Physician once suspected that I had cervical cancer. In recent years, I can not get pregnant even though I did not contraception, I can not wait to have another baby. After the traditional treatment, I'm pregnant in July 2010 but suffered a miscarriage in September 2010. According to the doctor, the probability of miscarriage is high if I get pregnant again. 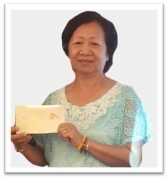 In December 2010, I began to consume 4 tablets of Golden Clam® each morning and night daily when Poh Yin - Greeno® Blue Diamond Director introduced the product to me. It is beyond my expectations! I can see the effectiveness in just a month. When I go for a follow-up check-up, the report indicated that my thyroid index has resumed to normal. At the same time, I was pregnant again! This time, I managed to keep my unborn child and he was born safely due to the consumption of Golden Clam®. Now, my son is already nine months old and he is a healthy and lovely baby. In addition, there is a great improvement in my health condition! Nayef was diagnosed with asthma among infants at his age of 3 months. Since then, his parents had been bringing him to the clinic constantly for nebulizer treatment. Although 8 treatments have been done, there is no improvement in his condition. On 17/05/2012, his father overheard the radio program about products of Greeno®. So, they rushed to the Holiday Villa Hotel and met Dr. Zulkifli. He has suggested Nayef to consume 30 drops of Springlife™ daily. 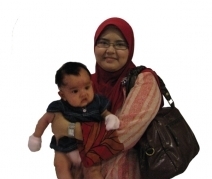 As Nayef is still breast-feeding, Dr.Zulkifli also suggested that his mother consume 2 tablets of Golden Clam® daily. Thank God! A week later, there are major changes in Nayef condition as he no longer cough, phlegmatic and flu. In addition, he can sleep through the night. 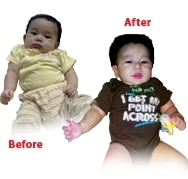 Now, his weight had increased to 8.5kg at the age of 5 months compared to 4.3kg before consuming products of Greeno®. On 29/05/2012, his parents have brought Nayef for monthly check-up and the doctor on duty declared that Nayef has no longer suffered from asthma. 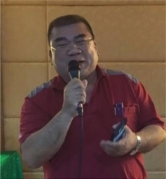 I was suffered from gout and diabetes for more than 10 years. Besides that, I also had high blood pressure which reached > 200mm/Hg. I was hospitalized due to these health problems. After that, I was unable to walk for around 3 months. In the mean time, I need to take medication for gout, diabetes, high blood pressure and gastric. When I was hospitalized, my friend introduced the GREENO® Golden Clam® to me. I started to take 3 tablets of GREENO® Golden Clam® at each morning and night. After 10 boxes of consumption, I am able to walk and my blood pressure also dropped to 130mm/Hg and 75mm/Hg, my blood sugar index also dropped from 18mmol/L to 5.4mmol/L. 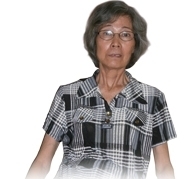 I had suffered from pregnancy hypertension and diabetes since10 years ago. I need to rely on traditional herbs to control these disease. Unfortunately, In May 2008 I was getting stroke due to high blood. It caused me become partial paralysis , mouth crooked and unable to speak and move my hands and feet. I only can lying on the bed all day long. I was diagnosed as carrier of Hepatitis B during blood donation since 10 years ago. I started to consume GREENO® Golden Clam® after introduced by my friend on May 2008. At May 2010, my body check up showed that the Hepatitis B virus had been removed. My wife and I were so happy with the result. 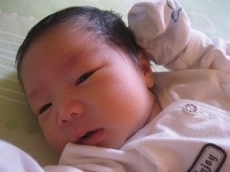 On the other hand, at early of 2009, my wife was pregnant with third child, she take a lot of GREENO® Golden Clam® during her pregnancy, when my son was born, we found that he got very thick and black hair. ( my elder and second son only had little hair when they were born. )My third son also seldom fall in sick within a year even after vaccination. Thanks GREENO® Golden Clam® for such excellent product! I had been suffered from diabetes for 10 years and I’d been taking medication. My right leg was swelling due to the heat in body cannot be appeased. I faced difficulty to walk as the tightness of the swollen leg. I also suffered from high blood pressure for 5 to 6 years, I had been hospitalized for dripping due to my blood pressure hit to 200mm/Hg. Besides that, I was suffered from difficulty of breath and thyroid, there is a tumor near my necks. After 3 months of consumption of 3 tablets of GREENO® Golden Clam® at each morning and night. I was so surprised that the tumor was disappeared , even the doctor also felt surprising. My condition of diabetes, swollen leg had been improved. My blood pressure also dropped from 200mm/Hg to 150mm/Hg and 80mm/Hg. 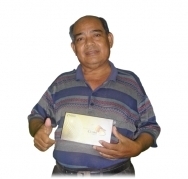 Thanks GREENO® Golden Clam® for its excellent effectiveness which bring back my health. I was retired and I suffered from osteoporosis since 2009. I also faced swollen and tightness at my legs. Besides that, my blood pressure index also reached190mm/Hg and I was suffered from sinus disorder too. At Jan 2010,my friend recommended GREENO® Golden Clam® to me. I bought 60 boxes in the first month. I started consume 3 tablets at each morning and night. A week later, my condition of sinus disorder and osteoporosis improved, even my blood pressure also dropped to 130mm/Hg. I worked in construction industry and I was suffered from high blood pressure for few years. Unfortunately, I was attacked by stroke during June 2010. I am unable to work, talk or even to move my body. Thus, I was hospitalized. On the third day of hospitalization, my friend brought me a box of GREENO® Golden Clam® . I started to consume 3 tablets at each morning and night. After a week, I am able to move slowly. With less than 3 months, I can move freely as before. GREENO® Golden Clam® was definitely an excellent product!3 tablets for each morning and night was too few for me. I was diagnosed with Thyroid Hyperkinetic since 10 years ago. Even though I had took 10 years medication, but there was no improvement. At year 2010, my doctor advise me to change the medication to “radiation water”, but I reject as I heard my sister’s friend had to go for dialysis after consume “radiation water”. I started to consume GREENO® Golden Clam® on July 2010. It is very surprising that my thyroid stimulating hormone had return to normal level during my check-up on November 2011. As a plumber, I faced a lot of health problems before consume GREENO® Golden Clam®. I felt headache and dizziness during hot weather. My back pain and rheumatism worsened after I take cold food. I cannot squat for longer time as I will suffered from hemorrhoids, lack of energy, insomnia and felt tired. At 06.05.2010, my wife bought me a box of GREENO® Golden Clam®, I started to consume 2 tablets at morning and 3 tablets at night. Sometimes, I will increase the dosage. A week later, I felt the healing reaction. I regain my energy and no longer suffer from insomnia. My snoring also had been improved. Now, I never felt back pain after ate duck, ice, teh tarik or during raining day. Thanks GREENO® Golden Clam® for bring back my health. I was suffered from bulging disc since 2006. Before married, I always felt back pain at the spine and tired. I need to take pain killer to release my pain. I also suffered from asthma and minor Thalassemia. I consumed 3 boxes of GREENO® Golden Clam® in the first 20 days, with 3 tablets per day before sleep. My condition of back pain improved after the second day of consumption. I also took GREENO® Golden Clam® during my pregnancy, my son didn’t get jaundice when he was born and seldom fall in sick. Besides that, after my husband finished one box of GREENO® Golden Clam®, his sexual ability was improved. I got the inherited G6PD ( glucose-6-phosphatase ) deficiency from my father. This is a common congenital disease. Due to the glucose cannot be break down naturally, thus sometimes I will suffered from hemolytic reaction and other symptoms like tired, shortness of breath, heart failure, shock and even be life-threatening. Unfortunately, my elder son also been threaten by this disease ( According to genetic analysis, if the mother is confirmed patients, while the father is normal, thus the son will be the carrier of the gens, and the daughter will only got 50% of the chances to get it. When I was pregnant with my third child, I got to know Greeno Golden Clam through my sister. I started to consume 3 tablets at each morning and night. Although I only consumed for less than 3 months, very luckily my third son was free from this disease and didn’t have any jaundice when he was born. My elder son and second daughter had jaundice when they were born.